My reading has been a little erratic the last week or so - I haven't read much, and stopped reading one book because it was so incredibly awful. But then I picked up one of my library books, P.S. 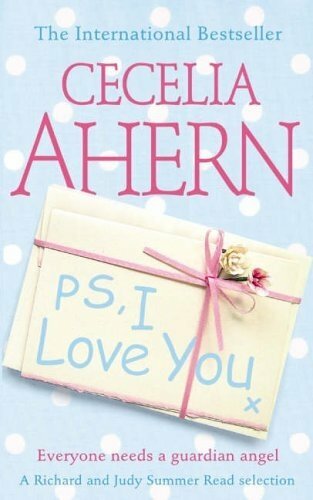 I Love You by Cecelia Ahern as some light reading, and it was nice. I thought it went on a little too long about the grieving, but it was a sweet story. Because of little Boy at home, I ended up reading the book in the dark, sitting uncomfortably against the wall in our room, on the floor, next to the door which was open a crack to let in a little light from the hall. I must be mad.